Fast Cleaners Barnet is a full service cleaning company. We provide cleaning services to homeowners and businesses alike. No job is too big or too small for us. As an added bonus, we do windows. You can also choose to have us come only when needed to perform any of the cleaning services needed. If you are moving, or remodeling, we will do the clean up after the move or the work is done. This includes doing clean-outs between tenants. Your business will look great from the moment customers pull into the parking lot. This will keep your employees happy, content and working harder. It will also keep your clients and customers happy and coming back. Your windows will be left streak-free and crystal clear. We not only clean the outsides, but will come in and do the insides too. It is surprising how much dust, dirt and other debris can stay hidden in the pile of your carpets. Not all of it is going to leave a stain, or make the rug look dirty. If anyone in your home has allergies, having the carpet cleaned regularly is important. 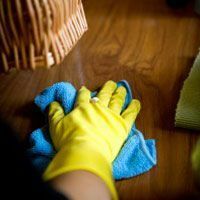 Our cleaning company offers rug cleaning services that will not only remove any stains, but will get rid of dust mites and other allergens; providing a healthier atmosphere for your family. Our system uses non-toxic cleaners to make sure that no harsh chemicals are absorbed into your body by walking on the rugs with bare feet. This is especially important for any small children or animals that live in the house. Everyone at Fast Cleaners Barnet strives to provide you with the cleaning solution you need at the time. It doesn’t matter if it is a big, industrial job, or a small, carpet job; we do our best in any and all situations to make sure you are happy with our work. All of our cleaning prices are easy on your pocket so you don’t have to spend much just to achieve a gleaming clean results. Feel free to call us now on 020 3322 8598.